2016: what can I say? It’s been a long year, personally and professionally. Struggling with physical pain, difficult work deadlines, and creative inertia. Overworked and under-cooked. So it’s time for a rest. I haven’t abandoned writing. Discouraged and disappointed. A little poetry here, some flash there,clawing away at a novel. I haven’t lost the love of writing, but lately — to quote Springsteen — I’m just tired and bored with myself. My head’s not there. I’m not in the game. It’s time for a reset. And this seems like a good time. Rest, reset, renew. So I’m taking some time off from blogging, to reassess and reaffirm what I’m doing, if the writing is still there, if it can be as good as I need it to be. No self-pity, no whining. Rest and resume. To everyone who follows my little blog: thank you. You’ve been been incredibly supportive and kind and your comments have been so generous that I’m often overwhelmed. Thank you! I’ll be back after awhile, hopefully with more vigor. And more stories. Have a wonderful holiday season. 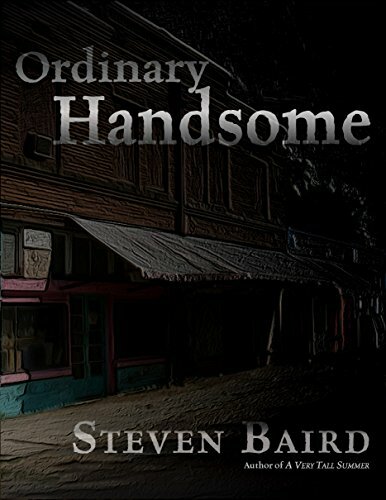 Ordinary Handsome and A Very Tall Summer are still available here.